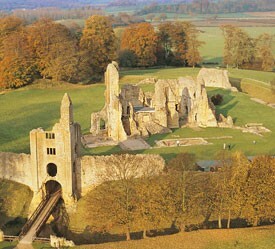 Sherborne has two castles, an old one and a new one. The old one is in ruins now. Most people believe that Sherborne's most famous inhabitant in history was Sir Walter Raleigh. In 1617 Sir John Digby bought the castle and it has remained in the hands of the Digby family (and latterly the Wingfield Digby family) ever since. In the middle of the 18th century, the famous "Capability" Brown was called in to create the castle's lake and to landscape the grounds. These days the castle grounds are used for many community events, including an annual Country Show in the summer and a spectacular fireworks event for Bonfire Night. In recent years it has also become home to the Ironman event which has attracted tri-athletes from across the world. 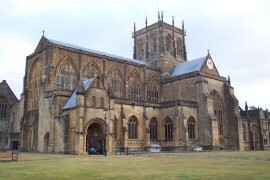 In the centre of Sherborne you will find the historic Sherborne School (a fee paying school) and Sherborne Abbey. It was at the beautiful Benedictine Abbey between 1400 and 1407 that a book known as the Sherborne Missal was written. The Missal contains the texts and music to be used in the Catholic Mass throughout the year. The British Library says that the Sherborne Missal is a masterpiece of English book painting - the only service book of such quality to have survived intact from the late middle ages. We have selected a few links to external sites about Sherborne and the local area. We hope you like them. Please tell us if you think there are others we should include.